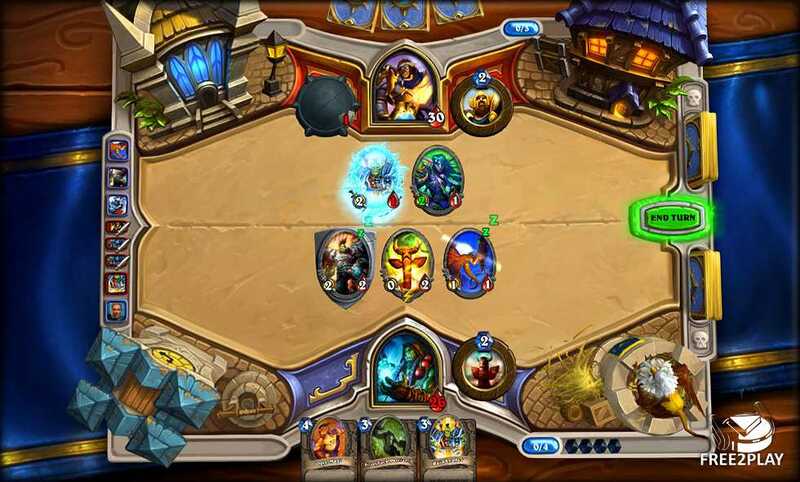 Set in the Warcraft universe, Hearthstone is a free-to-play digital strategy card game. 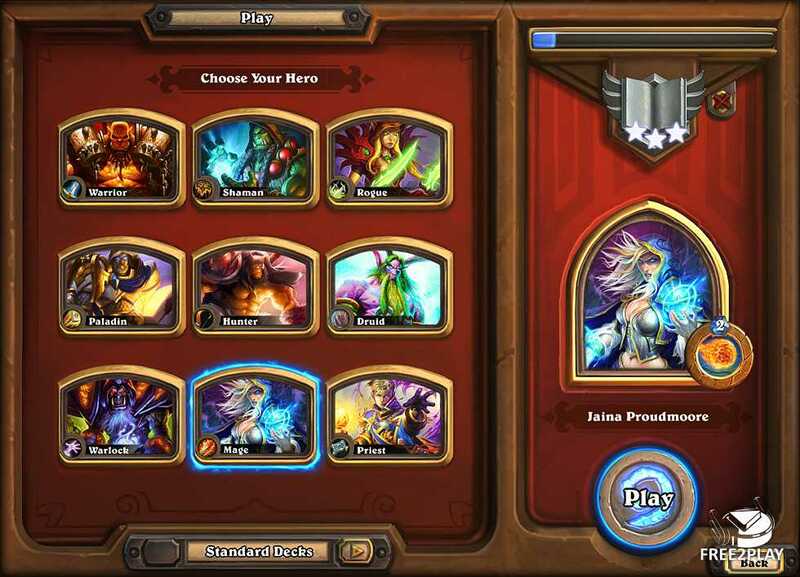 Players will be able to choose to play as one of the epic Warcraft heroes, and then take turns playing cards from their customizable decks to cast potent spells, use heroic weapons or abilities, or summon powerful characters to crush their opponent. - Collection manager to browse your deck, disenchant cards, etc. Druids are versatile hybrids shape-shifting into different forms to fulfil their roll. They can be good tanks or stealthy rogues, cast damage and do healing and even resurrection. Hunters deliver ranged weapon damage using bows, guns, and crossbows. They tame many varieties of beasts to serve as combat pets causing damage and giving raid buffs. Very adept at kiting, they have plenty of tools to allow them to avoid melee combat, which is a weakness. Mages are ranged magic damage dealers with very powerful direct and area effect damage spells. They also have a variety of utility spells at their disposal, including crowd control and the ability to conjure food and water. Although possessing relatively low armour and health values, mages are quite effective at PvP. Paladins wear heavy plate armour and use mana. They have strong group buffs (blessings and auras) at their disposal, and can heal, tank or cause melee damage. Shamans are spiritual leaders and masters of the elements, using spells and totems to heal and enhance party members. This versatile mail wearing class can fill the roles of caster, healer, and melee damage dealer. High burst damage makes them effective in PvP. Warlocks enslave demons and call upon dark magic and curses to dominate and destroy their foes. They are primarily ranged magic damage dealers and employ summoned demons as combat pets. Warriors are plate-clad close-combat fighters able to fill the role of tank or melee DPS. Warrior abilities use rage which is generated by dealing and taking damage, but decays over time while not in combat. Masters of healing and preservation, priests are a versatile healing class while having the ability to specialize in damage. They can be powerful in healing a single character or many allies at once and also have a variety of utility spells at their disposal. Masters of stealth and assassination, rogues deal massive melee damage using a flurry of dual wield poisoned weapons. With their ability to incapacitate foes, deal high burst damage, and to interrupt/lockout spells, they are formidable and highly feared characters. 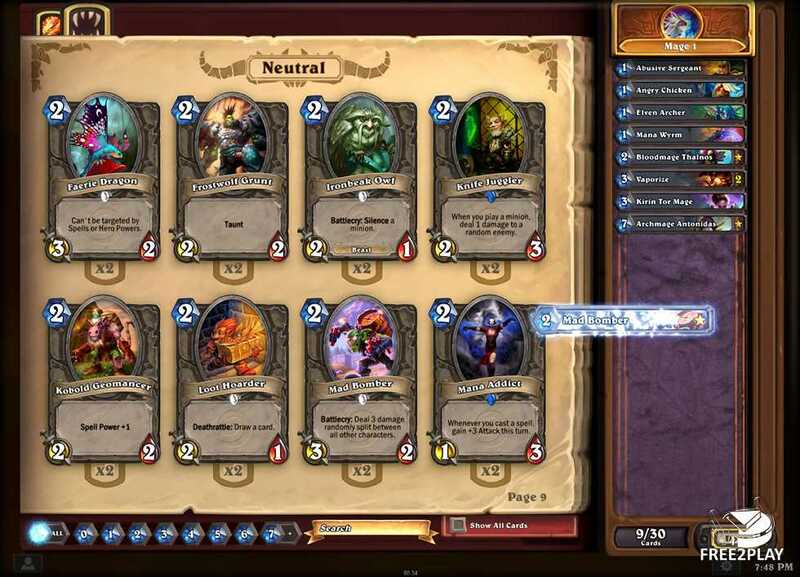 Hearthstone is already featuring more than 300 cards and will receive additional ones later on. After having decided which hero to play with, there are three types of cards players can build their deck with: spells, weapons, and minions. While basic cards are the cards that form the foundation of each hero's class, and are earned each time you play a game, expert cards can be found in card packs, can be created using the crafting system or earned along with certain achievements. They're distinguished by their rarity: common (white), rare (blue), epic (purple), or legendary (orange). Generally, the rarer a card, the more complex it is, often providing you with new strategic options. You can have any number of expert cards in your collection, though only two of any common, rare, or epic card, and one of any legendary card, can be placed in a deck. Both basic and expert cards have important roles to play in all decks. The in-game Collection Manager will help players create, save, and edit multiple decks for whatever situation or play style they can think of. 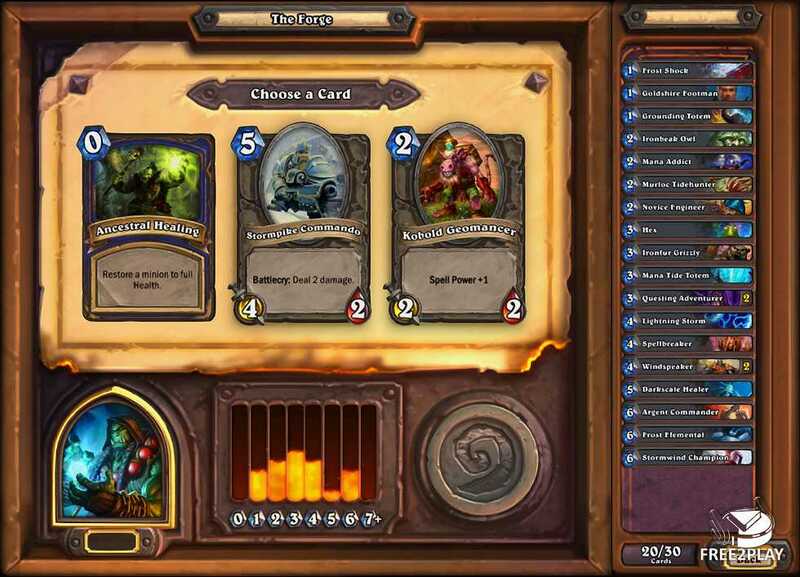 It allows you to browse your ever-expanding cards collection, disenchanting cards for raw materials to craft new ones, and building a variety of custom decks to suit their shifting strategies. There will also be a feature included that will enable new players to build a deck without having to understand all mechanics of deck building. It will examine your deck and card collection and provide suggestions for what you should add, including a brief reasoning behind these recommendations so that you can learn a little more about how to build a great deck. Crafting: Disenchanting expert cards of your collection will grant arcane dust which and after having collected enough of it, can be used to craft other cards. The amount of dust received and/or the cost of the card created depends on the card's rarity. Of course the basic cards cannot be disenchanted. Players will hone their abilities and test out new deck ideas against A.I. opponents of basic or expert skill levels, and unlock new playable heroes in the process.